July 12, 2016 On an exhibition space of more than 30,000 square meters, the most important new products, developments and trends from the Action, Sportstyle, Fitness, Running, Functional Textiles, Outdoor, Paddling & Watersports segments were displayed over three days. 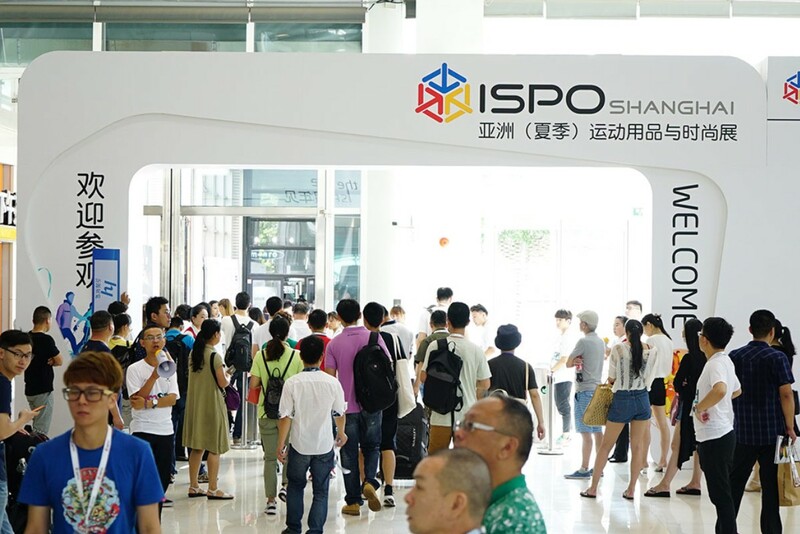 ISPO SHANGHAI 2016 is growing and continuing its successful debut. There has been a 32% record increase in the number of exhibitors. 470 companies were represented with some 500 brands. From July, 6 to 8, 14,593 visitors came to the Shanghai National Exhibition Center (SNIEC). A much frequented Accompanying Program featuring innovations, trends and a quantity of testing possibilities rounded off the three trade-show days. At the well-attended ISPO Open Demo Day media representatives, dealers and visitors tested the latest sports products from the areas of water sports and run-ning, skating and outdoor even before the trade show opened its gates. I am participating in ISPO for the second time. This year, we can see more sports segments as compared to before. Apart from traditional outdoor products, there are sports fashion and fitness products. I am fond of this arrangement, because the outdoor concept is really made up of different sports and different fan groups. I think integration is definitely the key to the market of the future. Mr. Victor Li, Chairman of China Selected Outdoor Association (SOA) and Chairman of Shanghai Setino Sportswear Inc.
ISPO has been our long-term partner as we also participate in ISPO MUNICH and ISPO BEIJING. ISPO SHANGHAI offers more advantages to brands in the Jiangsu and Zhejiang regions like us. We, the China Selected Outdoor Association (SOA), have participated as exhibitors of ISPO SHANGHAI for the first time ever in order to present our ideas about how to manage multi-brand and multi-segment stores of selected products. The reason why we have chosen ISPO SHANGHAI is that the trade show’s “beyond outdoor” concept is conveying exactly our philosophy. 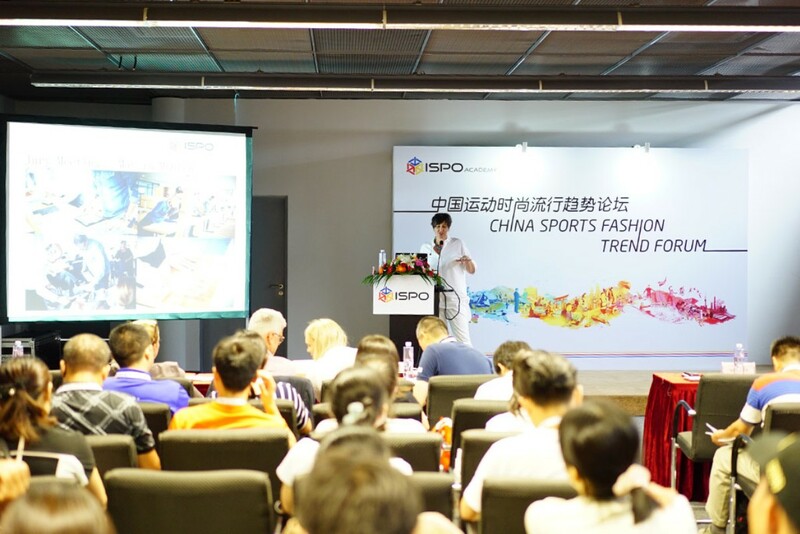 We believe that ISPO is the most influential sports trade show in China. We can see how much ISPO SHANGHAI has invested in the water sports segment this year, based on its “beyond outdoor” concept. Ranging from the OPEN DEMO DAY to the indoor pool, ISPO SHANGHAI can offer real experiences to consumers, retailers and outdoor fans. We are also very happy to find more international water sports brands and visitors at the exhibition. Next year we will certainly participate again. We think ISPO is a very influential exhibition for the outdoor sports industry. So it is very effective to promote our corporation and brand image here. We are exhibiting at ISPO SHANGHAI for the first time. Actually, it is our first exhibition in China. ISPO SHANGHAI is very big, with a wide range of products and great visitor flow. We are very satisfied with the results and will certainly come again next year! ISPO SHANGHAI is our favorite and most suitable exhibition in terms of scale, quality, segments and brands. This is the 6th time we take part in ISPO as exhibitors if we include all our participations in ISPO BEIJING. Gravity-X is specializing in skateboarding, and we have always scored successes at ISPO. The longboard event we have co-organized this year is being very well received. We hope ISPO will develop further year by year. I have been amazed from the minute I stepped into ISPO SHANGHAI. Apart from the traditional outdoor sports, we can see fancier and more innovative products here. Since yesterday, we have been making offers to various brands. Because, besides the professional mountaineering products we are now focusing on, I would like to add more fitness, running and sports fashion products to the line of products in my stores. To me, ISPO is a platform where the exhibitors and buyers can get to know the world trends. ISPO SHANGHAI has integrated products and technologies from different segments into a single venue. This year, ISPO SHANGHAI has brought me many new ideas. ISPO SHANGHAI 2016 seems to have even improved as compared to last year. The insider water pool is very great for us, and it is almost the best pool I have ever seen in the world at shows. The OPEN DEMO DAY’s location is much more accessible for people who wish to get onto the water. And everything is organized very well this year; it will give me great pleasure to come back next year. LP has recently extended its product line to include functional compression clothes, so we would like to choose an important event such as ISPO SHANGHAI to communicate LP’s plan for the next year to our customers. Judging from the visitor flow of ISPO SHANGHAI 2016, it is clear that the sports market is growing. At the Fitness and Running Forum, I can see that all sports fans have gained a lot. Millet has chosen ISPO SHANGHAI as a platform for our first appearance in China, because we believe that ISPO SHANGHAI is not only the right place to promote our brand, but also a platform where we can be in direct contact with retailers onsite and consumers online. Moreover, the sports and “beyond outdoor” concept of ISPO SHANGHAI is a very close match to our brand philosophy. So we hope that, through such a comprehensive platform, Millet can send our message of creating needs for sports. Rehband has continuously participated in ISPO MUNICH as an exhibitor for five years. As this is the first year we launch ourselves into the consumer market in China, we have chosen the right platform with ISPO SHANGHAI. Today, a lot of dealers, retailers and sports fans have come to visit our booth, and we are so happy to attract more attention from those new professional audiences at ISPO SHANGHAI. The whole atmosphere is very satisfied, and definitely, we will join ISPO SHANGHAI again in the years to come! By taking advantage of ISPO SHANGHAI and the regional superiority, the greatest achievement we have gained is to make our brand and products, including sports, fitness, airport, high-speed rail, giveaways and general merchandise, known to a greater number of channel dealers and companies. ISPO SHANGHAI can help us multiply our development efforts. I hope ISPO will seize the opportunity and become the most influential sports exhibition brand in Asia in the next few years. I also hope it can contribute more to make Shanghai a city of sports, to help develop the sports industry in China.